Who will be Iran's next supreme leader? 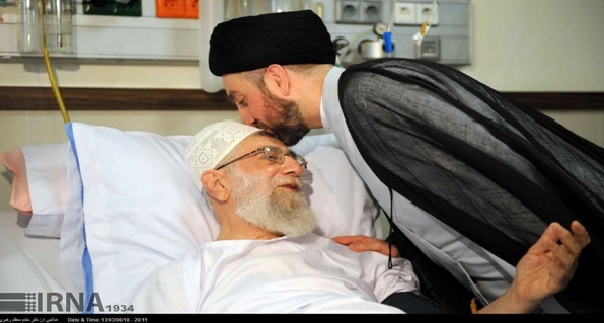 There is increasing talk in Iran as to who will replace Supreme Leader Khamenei when he dies. The death of Khamenei will mark the biggest political change in the Islamic Republic in the last 30 years. The supreme leader is the most powerful person in Iran, with absolute authority over all segments of the state. Iran’s supreme leader is 77 years old. Rumors that he suffers from cancer have circulated for the past few years. We know from Iran’s state-run news agency (published photos of him recovering from prostate surgery), that he is battling cancer. More recently, we know that the Iranian government is treating his succession with urgency; there is talk that the Supreme leader himself is vetting potential leaders. A new person in that position could dramatically alter the course and tone of Iran’s foreign and domestic policies. In the hours following Khamenei’s death, the Speaker of the Assembly of Experts will assemble an emergency session to choose a successor. The next supreme leader is likely to be one of three men: Sadeq Larijani, Mahmoud Hashemi Shahroudi, or Ebrahim Raisi. The favorite is the current head of Iran’s judiciary, Larijani, 56, who was born in Najaf, Iraq, to an influential family: He is an elected member of the Assembly of Experts. Larijani has exhibited an absolute devotion to the supreme leader. He has never claimed the status of grand ayatollah, thus showing veneration to Khamenei’s authority. And he supports the notion that the Assembly of Experts should exercise minimal supervision over the supreme leader, an extreme view within the seminary. Khamenei has described Larijani as a “learned, brave, cerebral, revolutionary mujtahid [an authoritative interpreter of Islamic law] and devout scholar” and has compensated him for his faithfulness by promoting him to key positions. 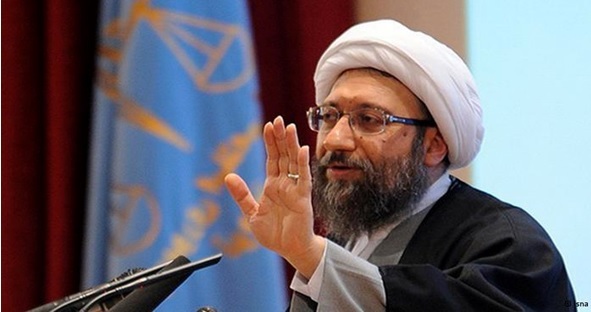 As head of the judiciary, he demonstrated his conformist zeal, fervently attacking Rouhani for supporting the nuclear deal. Further adding to his influence, Larijani chairs the board of trustees of Imam Sadiq University, which trains civil officers for key political positions in the Islamic Republic. His involvement in such pivotal institutions has given him a deep understanding of Iran’s maze of power. When it comes to relations with the USA, Iran will continue its guarded and no-nonsense strategy, cooperating on some issues (for example, helping with the fight against the Islamic State) while spurning to do so on others (for example, maintaining its hostility toward Israel). And as long as the United States sustains its end of the nuclear deal; Iran will continue to maintain a limited and fractured relationship with America. It is silly to hope that pressure from the Trump administration will produce any political change in Iran.